Photo courtesy of Marco Verch via Flickr. Used under a CC BY 2.0 license. Reader question: I need an inside the waistband holder for concealed carry of my pistol. So, what is the best IWB holster for Glock 19? Read customer reviews about the best IWB holsters on Amazon or scroll down to read our reviews. The choice for gun holsters varies depending on whether you’re a law enforcement officer, military personnel, competitive shooter, or a regular gun enthusiast. The gun’s size, the carrier’s body type, and possible extreme weather conditions under which the gun will be carried are important things to consider. Individual tastes and preferences count greatly, too, in choosing holsters. Law enforcers who carry their gun to work, often wearing the thing all day long, would most definitely prefer a comfortable, durable, and highly-discreet holster. On the other hand, competitive shooters and hunting enthusiasts would prefer the rugged and tough holster to match their sorties in the wilds. An IWB holster (inside the waistband) is preferred by most gun owners for the added concealment that the gun holder provides and the fact that it places the gun closer to the body, making it safe from attempts to disarm. It would be a great idea to visit the various gun shops in your place to check holsters up close, and feel their moulds and the kind of leather used to match your handguns. Each shop offers different types and options. Below are top IWB holsters that would best fit your Glock 19 handgun. SuperTuck: Best holster for glock 19? The SuperTuck Deluxe is made exclusively by CrossBreed Holsters. It has a premium leather support with a uniquely hand-crafted and encased kydex (a kind of plastic) pocket for wearable comfort and all-around carry options – whether or not your shirt is tucked in. It features powder-coated steel belt clips which are superbly flexible for easy cant-and-ride adaptability. The product comes with a ‘Two-week, Try it Free Guaranty” and a life-time warranty. The SuperTuck comes in varying combinations to match each individual’s comfort, style and preferences. You may choose from its various combinations – the optional combat cut, additional clip choices, and the following three unique leather choices. Black Hand-dyed Cowhide – this option has superior leather quality exclusively selected for CrossBreed Holsters. It is designed for durability, stability, comfort and style. The holster is dyed black and buffed to a flawless finish. Premium Horsehide – this leather is made from the very exclusive Shell Cordovan, one of the finest leather products in the world: its denser and tighter leather grain properties are perfect for hot and humid weather. The Premium Horsehide comes only in natural tan colour and nicely conditioned with Neetsfoot Oil. Premium Cowhide – the next-best thing when premium horsehide is not available. It is exclusively treated as with the horsehide holsters of the same brand, for greater comfort and moisture-resistant characteristics which provides excellent waterproofing in wet and cooler environments. This leading product line from the American Holster Company is primarily designed for deep concealment yet easy and comfortable for daily wear. An Invisi-Tuck IWB holster, which is made from top-of-the-line leather, is handcrafted. 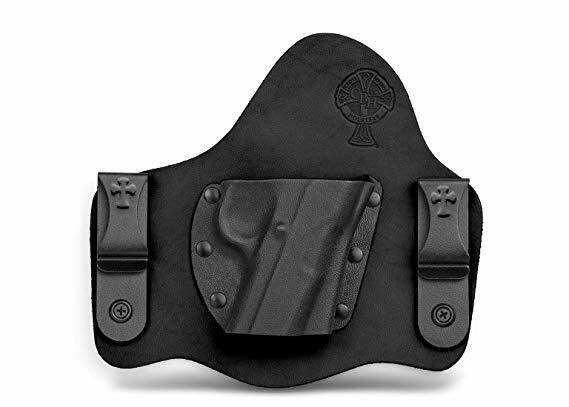 You are assured that the back plate, pocket and reinforcement panel of the holster will match your handgun. No synthetics or plastic material for this brand. For added stability and resilience to its holsters, the company uses high quality Chicago Screws in lieu of rivets, with handcrafted leather spacers and sturdy belt clips. Every holster undergoes a 5-step finishing process involving trimming, sanding, dyeing, waxing and burnishing. 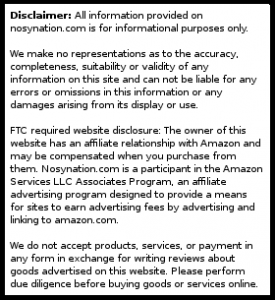 For maximum customization, whether for your Glock 19 or your other guns, it is best to check with this company first. With its interchangeable Kydex pocket, this leading product by White Hat Holsters is available in one complete set for all sizes and models of handguns to fit securely and comfortably. This hybrid IWB concealable holster is carefully made with either cowhide or horsehide leather backings to add protection between your skin and the metal part of the handgun, as well as to protect your gun from corrosive materials and substances. For people who perspire a lot, it would be best to choose the horsehide option for higher resistance to moisture. MaxTuck showcases, through its Antique Brown Horsehide, the unique grain patterns offered by leather that has undergone the finest treatment. It takes from 3 to 4 weeks to process an order. What is the best Glock 19 holster? 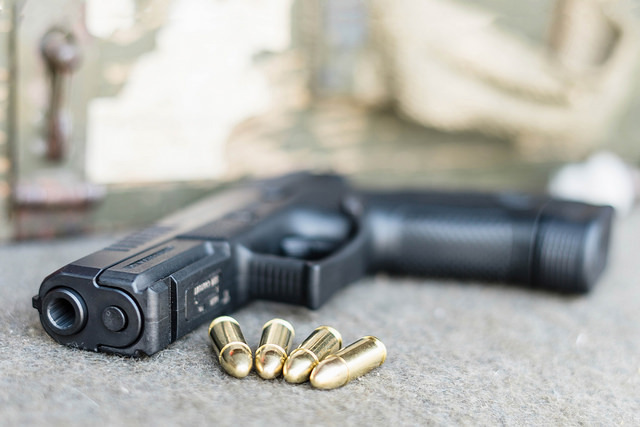 The Glock 19 is a favorite among handgun-owners who appreciate the gun’s accuracy, versatility and simplicity. It is smooth to draw because of its minimalist appearance. It can, however, be quite cumbersome to carry. A well-designed Glock IWB holster will easily solve that issue, so make sure that you choose the best. The SuperTuck and MaxTuck are top-quality hybrid holsters – meaning, they are made of the best leather and Kydex combinations. The use of synthetic materials, such as Kydex and other plastics, allow the production of highly dependable holsters at a reasonable price. Invisi-Tuck, on the other hand, offers nothing but genuine and hand-chosen leather combined with topnotch craftsmanship. Probably the most important criteria for the best holster is when a gun-owner wears a holster, forgets about it, and then remembers about the thing when it’s time to take it off after a long day. Find the best IWB holster for Glock 19 on the market in 2019 on Amazon.